Termites are key ingredients of local ecosystems because of their ability to break down dead cellulose material. But when it comes to your home this behavior can become a liability rather than a benefit. There are approximately 50 active termite species that exist within the U.S. Subterranean termites and dry wood termites are the most common found in Arizona. And each type requires a specific method of extermination. 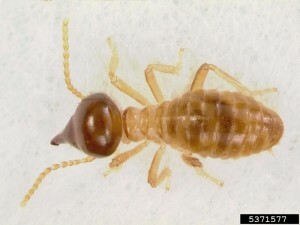 Termites of course can cause severe harm to homes, but are not known to bite humans. While solider termites have the ability to bite humans, they would only do so if handled. But even though you don’t need to be worried about being bitten by a termite you should still seek and implement professional extermination methods to protect the structure of your home. While indicators of termite infestation differ depending on the type of termite, both drywood and subterranean termites damage wood. A pest control specialist is trained to be a termite expert. Not only can they help you identify what type of termite infestation you have, but also what the best method of treatment will be.